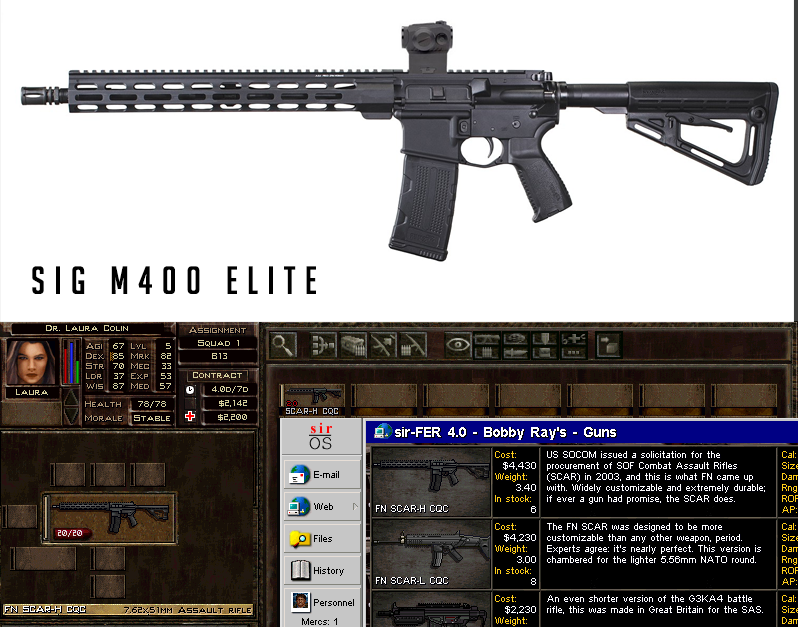 The Bears Pit: All about modding JA2 » I need some help regarding the graphics of weapons. 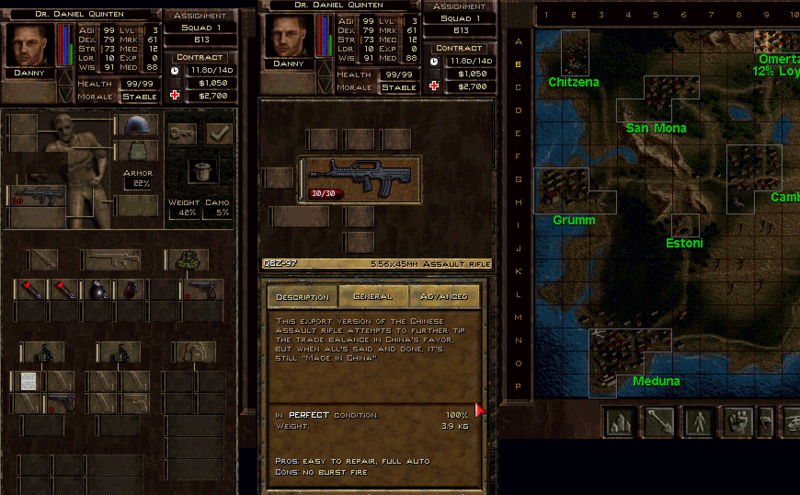 Hi guys, first of all I am a big fan of Jagged Alliance, and altough I haven't posted a lot, I've always been here in the "shadows" watching all the progression has been made by all of you guys... So thank you for creating these great mods. Now let's get to the business. 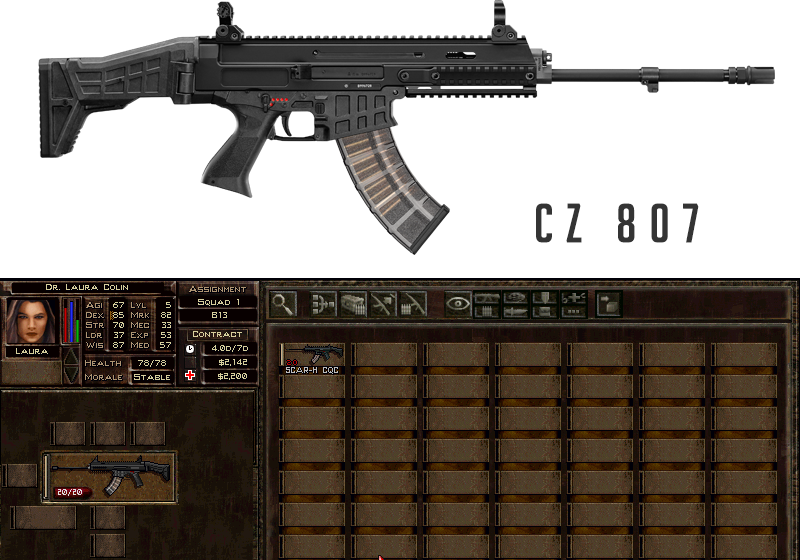 The last few days I wanted to change the graphics of some certain weapons, and I started with the FN 2000 Tactical. I managed do extract the bitmap file with the "STI editor" or viewer, not really sure, and I managed to save it as a sti file after the picture was made. After the new graphic was made I wanted to use it on the JA 2 1.13 Urban Chaos/AFS, but no matter where I placed the file(I checked the xml file, so the pic was the correct one), Data 1.13, BigItems, etc. (where it was supposed to be, or at least I think so...) the new graphic wouldn't show up. 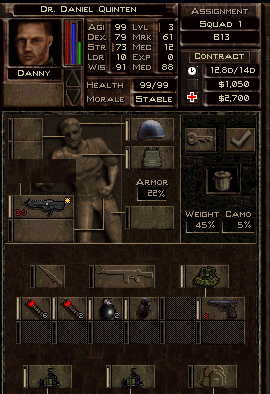 The next day I said to give it one more try, and I managed to make the pic show on the official mod "Jagged Alliance 2 1.13". But it only shows on Bobby Ray's and when I see the description. 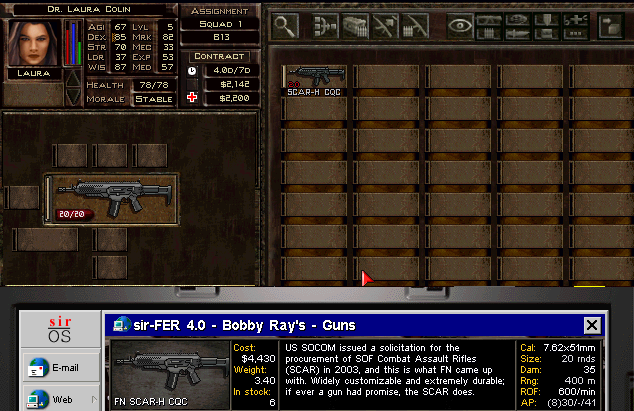 I can't see it on the inventory as it's the old graphic of the FN 2000. 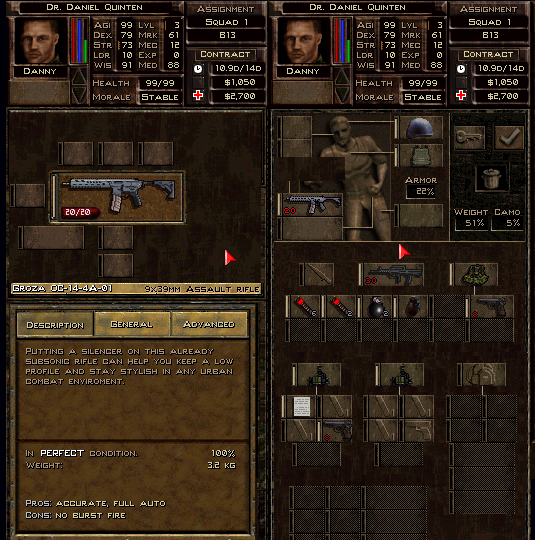 So my questions are, could anyone help me out in telling me how I can manage to make it show also on the inventory. And if I succeed, maybe tell me how I can make it show in the UC/AFS version of Ja2. Congratulation to your first post and welcome onboard! I would recommend you Gotmilk's Gun Tutorial and hope it helps you. Great, just had a quick run on it, seems exactly what I needed, thank you very much. Well, I managed to work on the gun and I am very happy with what I have accomplished, I only made the bigitem gun, but I can't seem to post it to show it to you guys. Still have to do 3 more posts lol. I finished the inventory one too now. Ok, so I finished the tile one too. 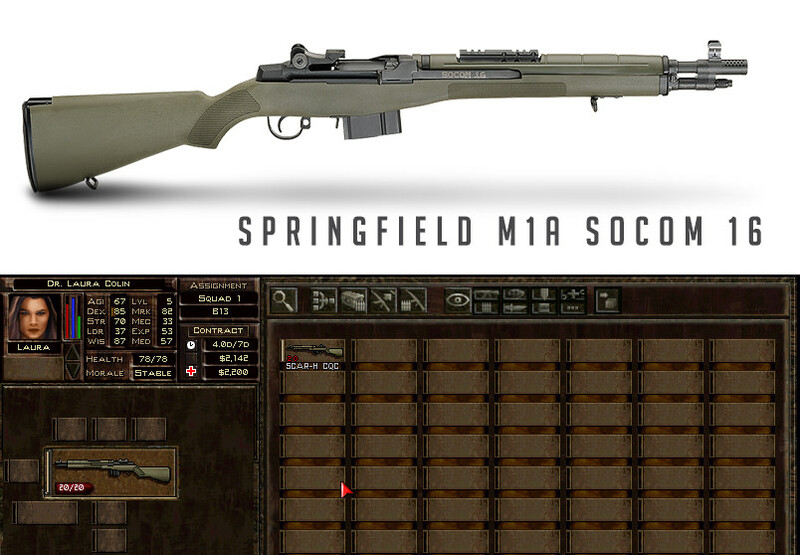 And this is how it looks in-game. I also changed the QBZ-97. 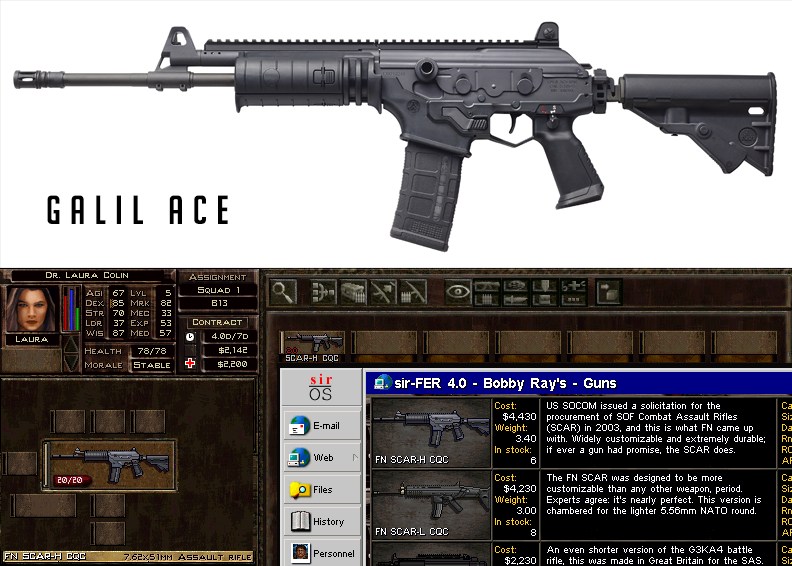 Let me know if you like it, I would be happy to share the bmp files if you are interested in using these weapons graphics. Thank you very much! Today I tried to perfectionate myself and I think I acomplished that. 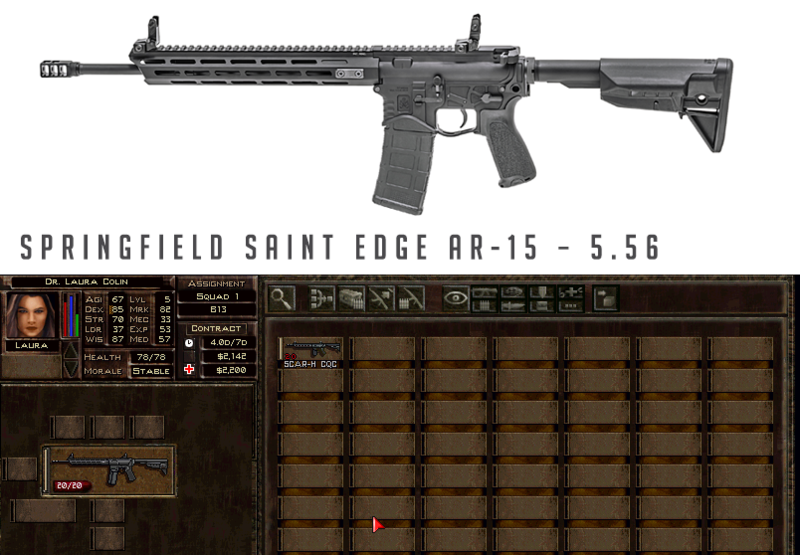 I made a totally new gun, the "SIG MCX VIRTUS SBR". I think it looks great, but I am having problems in adding it as a new gun. I can't seem to fire with it if I create a new item in XML Editor. 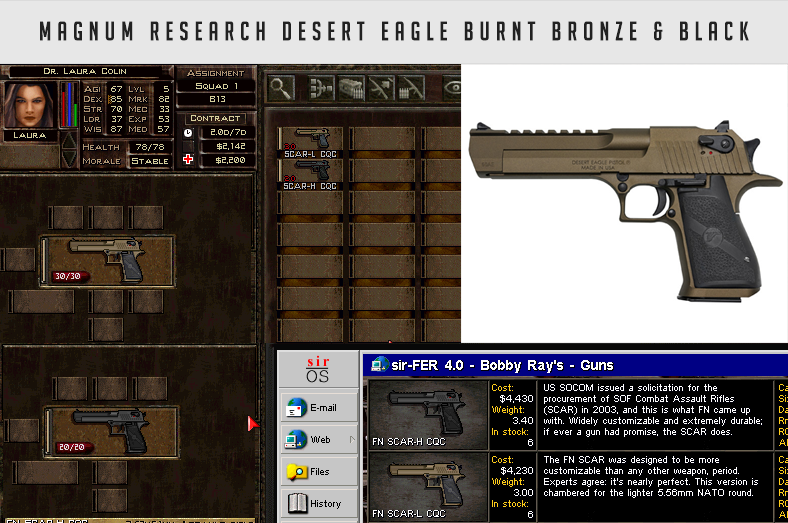 I was thinking of copying maybe the lines from another gun and just use STI editor to add the graphics files only. What do you think? Also I can't seem to find the exact specification for this model, but I loved the way it looks... very cool. Been working hard ony some of my new work. Here is what I made today. 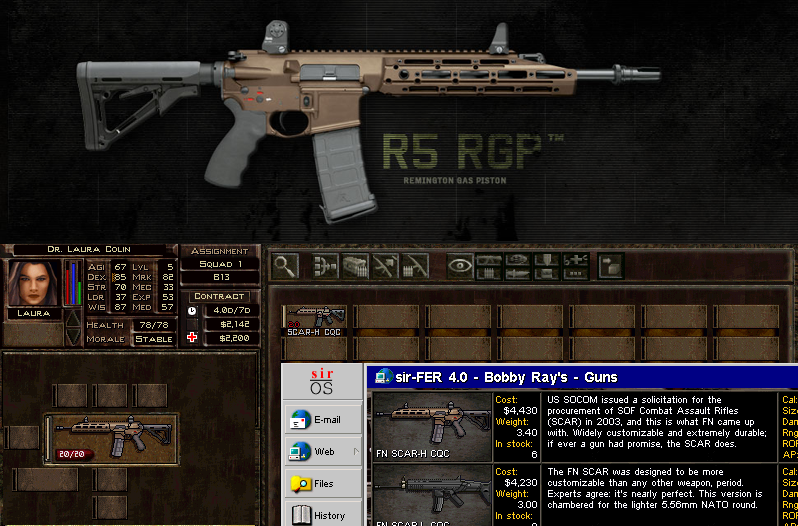 The SIG SG 553 R RB! 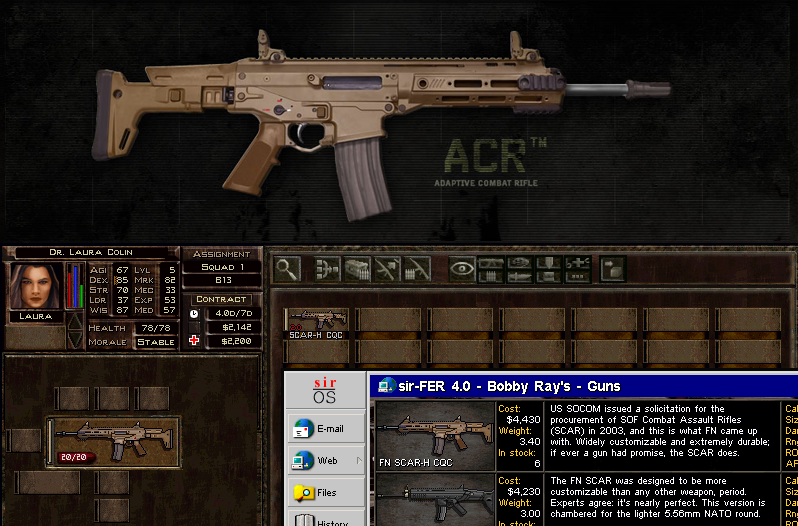 Made a new version for SCAR-H CQB in black color. Wow, you really seem to have a hand for this type of work. Hey Silversurfer, yeah, I am a graphic designer myself, and this is my favourite game from childhood... and hell, still playing it after all these years, but I really haven't tought about it until now to do some artwork. 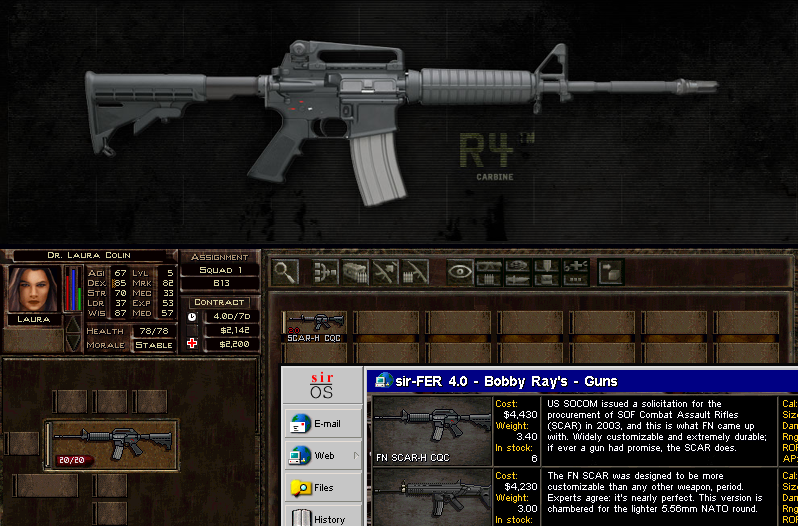 I believe that the guns are very important as myself always love to have good looking guns. I am also a detail freak. 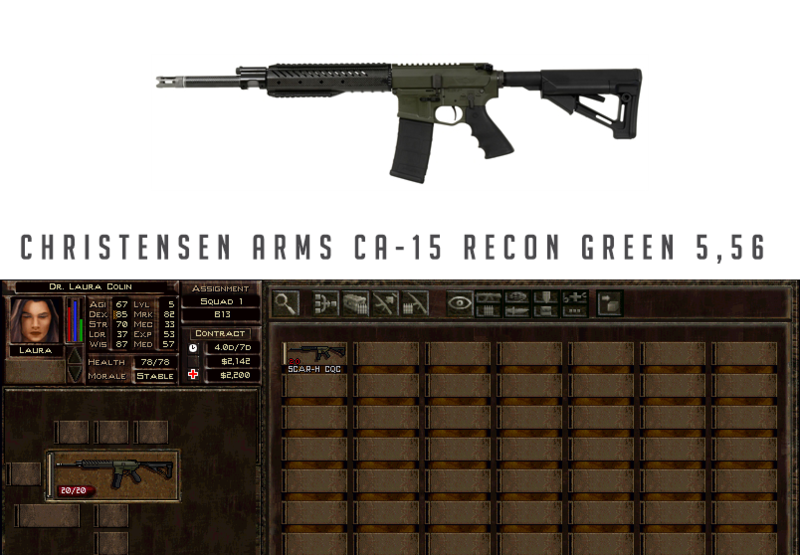 Now the new assault family of Remington! 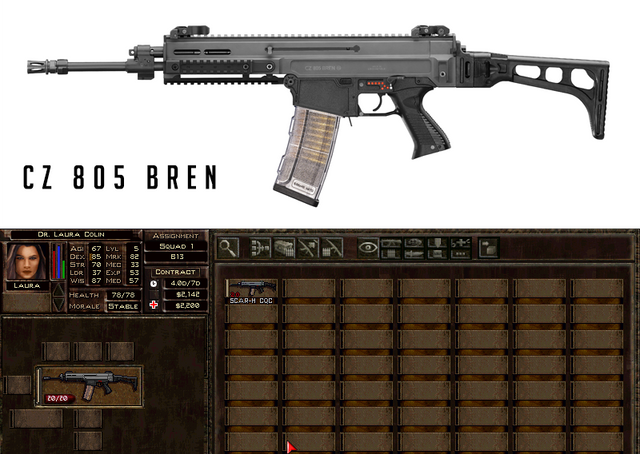 Is the ARX-160 supposed to look exactly the same as the previous gun? I don't exactly understand what you are asking me...? As far as the complexity, I am still not 100% satisfied with the result, but I can't seem to add enough of the details that I would like, so I had to let it go. I already tried some other guns too, but some of them just won't work with this small resolution since they have so many details. As for colors, still trying to get the most out of them, as you can see from my first models I stepped up a lot. But I can't seem to find the perfect combo for the inventory ones yet. Wow! 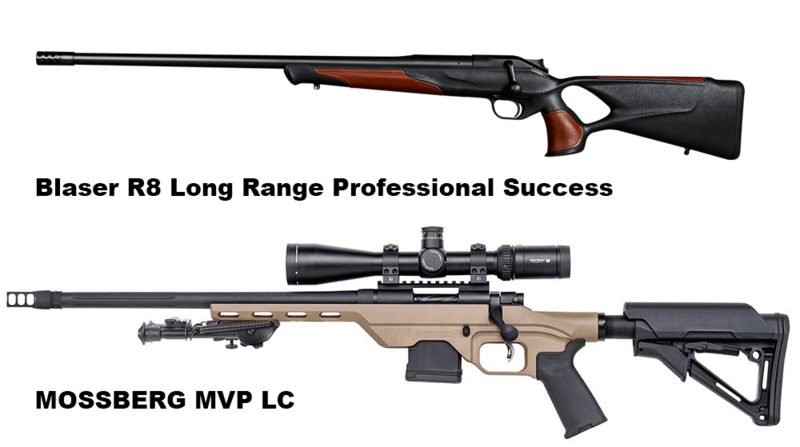 Really like the look of your new guns in this post. 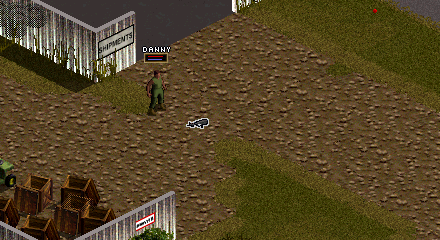 Were you able to get them to fire in the game? 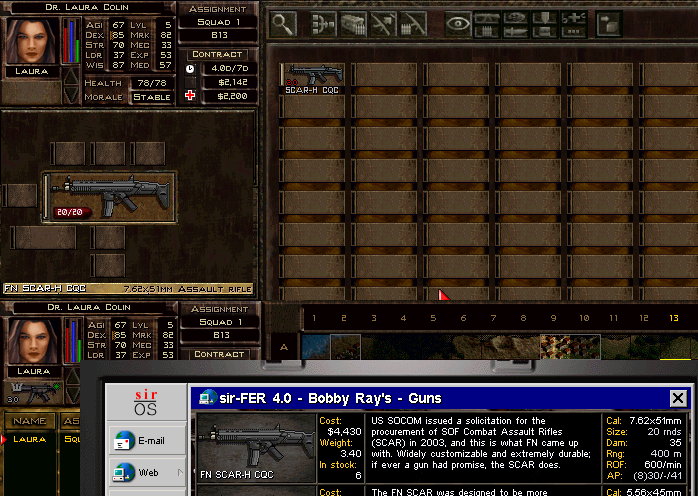 I'm no modder, but I was thinking it might be because you'd have to also add the ammo to the xml, that sort of thing. And add the weapon to another list as well somewhere. I don't even know how to add weapons, but I'd guess these are added and listed in the various xmls that may be required. I just discovered this thread and I really like your work, paying attention to detail. Keep it up! Hi Zed, thank you very much. Yes I managed to add some of them, I am not a codder either but they work very good. I also have some others that I haven't posted yet. I am currently on holidays for about a month and see if I can carry on my work, but I don't want to promise anything, I usually get bored fast and that's why. I also posted them here so anyone that knows how to add them to the game is free to do so. But I will try my best to add them in the future to a the vanilla mod at least so some of you can play them. Thing is it takes more time to add them into game, that's why I want to finish a batch and then add all of them. Thank you, I will try my best. But as I told Zed I am on holidays for now, and tend to get bored fast when playing games.